82,2 x 76,8 cm - 32 5/16 x 30 3/16 in. Durand-Ruel & Cie., Paris, 18 juin 1881 (Stock n° 1115) – Mary Cassatt – Alexandre J. Cassatt, Philadelphie, 1881-1906 – Lois Cassatt, Philadelphie, 1920 – W. Plunkett Stewart, 1931 – William Porter Wear – Elsie Cassatt Stewart Simons – P. W. Wilstach, 1937 – Philadelphie, Philadelphia Museum of Art, 1937. New York, American Art Association, 1886, n° 299 – Chicago, World's Columbian Exposition, 1893, n° 39 – Pittsburgh, Carnegie Institute, 1902-1903, n° 41 – Philadelphie, Pennsylvania Museum, 1934, n° 35 (repr.) – Philadelphie, Pennsylvania Museum, 1936, n° 35, repr. p. 87 – Paris, musée de l'Orangerie, 1937, n° 30, pl. 19 – Philadelphie, Philadelphia Museum, 1939, n° 35 – Cleveland, Museum of Art, 1947, n° 36, pl. 19 – New York, Rosenberg & Co., 1948, n ° 8 – Philadelphie, Philadelphia Museum, 1950-1951, n° 75 – Sarasota, The John and Marble Ringling Museum, 1955, n° 25 – Los Angeles, County Museum, 1958, n° 29 – New York, Wildenstein & Co., 1960, n° 26 (repr.) – Baltimore, Museum of Art, 1962, n° 42 – Minneapolis, Institute of Art, 1969, n° 23 – Northampton, Smith College Museum, 1979, n° 2 – Edimbourg, National Gallery of Scotland, 1979, n° 21, pl. 7, repr. p. 39 – Philadelphie, Philadelphia Museum, 1985, n° 4, repr. p. 10 – Paris, Ottawa, New York, 1988-1989, n° 219, repr. p. 337 – Detroit, Philadelphie, 2002-2003, fig. 164, repr. p. 148 – Rome, Complesso del Vittoriano, 2004-2005, n° 53 - Sao Paulo, Museu de Arte, 2006, p. 218, repr. p. 219 - Paris, Londres, Philadelphie, 2014-2015, fig. 74, repr. p. 111 - Wuppertal, Von der Heydt-Museum, 2016, Degas-Rodin, (n.n. ), repr. p. 396 - Milan, Palazzo Reale, 2018, Impressionnisme et avant-garde. Chefs-d'oeuvre du Philadelphia Museum, n° 8, p. 129. Ambroise Vollard, 1927, pl. 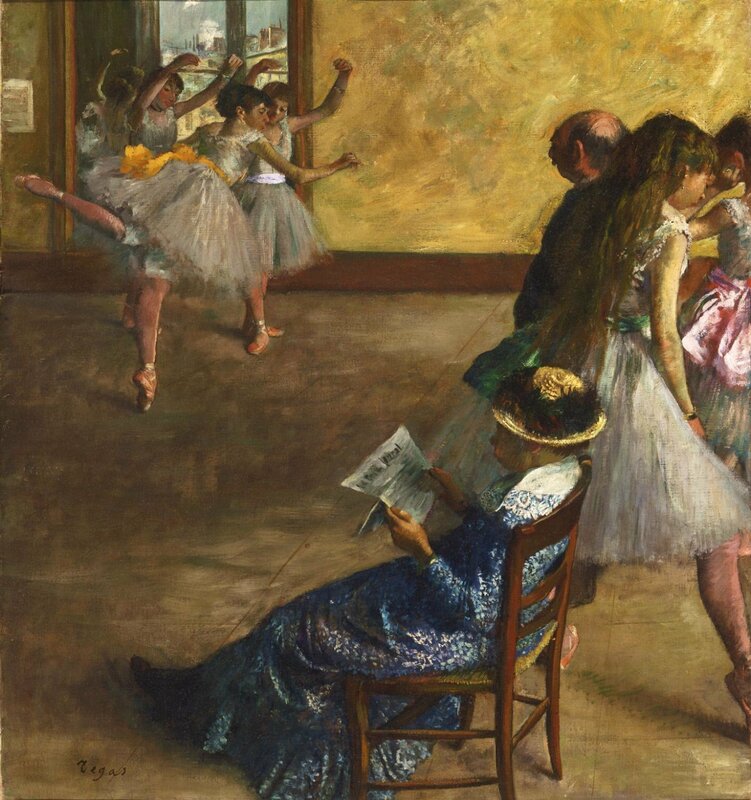 26 – Beaux-Arts, 12 mars 1937, p. B - The Pennsylvania Museum Bulletin, janvier 1938, repr. couv. – Annual Report of the Philadelphia Museum of Art, 1938, repr. p. 12 – Lemoisne, 1946-1949, II, n° 479, repr. p. 265 – Browse, , n° 98 – Cabanne, 1957, p. 44, 98, 114, pl. 78 (repr.) – Lassaigne, Minervino, 1974, n° 529, repr. p. 111 – Dunlop, 1979, p. 123 – Pickvance, cat. exp. National Gallery of Scotland, Edimbourg, 1979, n° 21, pl. 7, repr. p. 39 - Thomson, 1979, p. 677, fig. 97 – De Keyser, 1980, pl. XXVIII - Tübingen, Berlin, 1984, repr. p. 366 - Boggs, cat. exp. Philadelphia Museum, 1985, n° 4, repr. p. 10 – Philadelphia Museum of Art Bulletin, printemps-été 1985, vol.1, n° 346/347, p. 2-48 - Sutton, 1986, fig. 163, repr. p. 177 – Rome, Complesso del Vittoriano, 2004-2005, p. 264, repr. p. 265– Reading, Public Museum, 2007, fig. 21 (repr.) 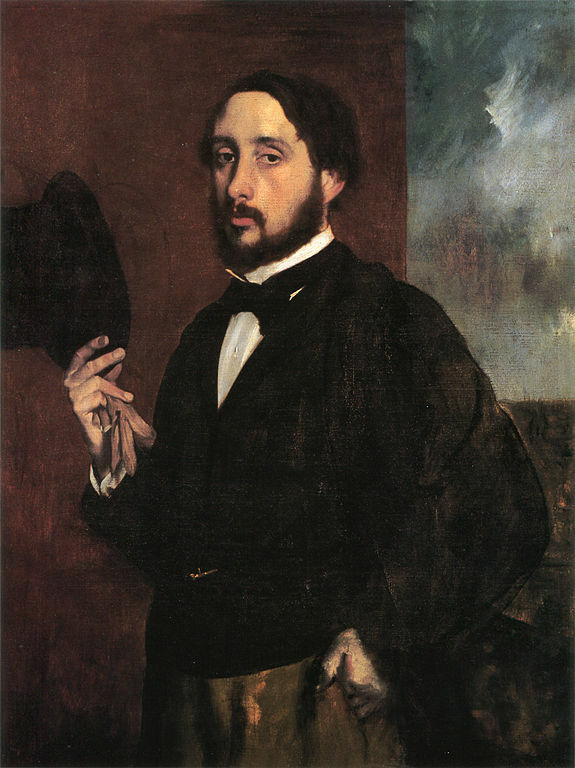 – Degas in the Norton Simon Museum, 2009, fig. 20a, repr. p. 175 – Karlsruhe, Staatliche Kunsthalle, 2014-2015, fig. 75. 1, repr. p. 190 - Maeseille, musée Cantini, 2018, repr. p. 97.